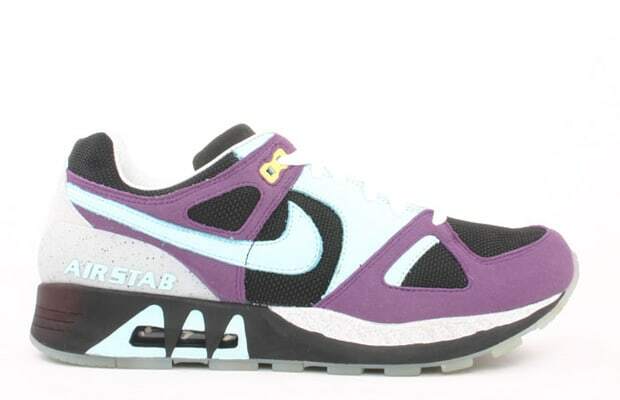 The Nike Air Stab's late 1980s debut was as part of Nike's greatest roll out of all time. If you ever looked longingly at this model alongside the Air Trainer SC/III and Air Max Light, you're not alone. In 2005, prayers were answered via Footpatrol's excellent colourway that debuted at the legendary London boutique before going global as a Quickstrike. See that subtle grey speckling and the wildcard use of yellow as a pop color? That's how you rework a shoe. That platform-like sole and fruity banana shape? That's not how you remake the Stab, but botched shape aside, these are a classic collaboration. It's worth noting that these were also featured on a Complex cover before they went on sale.